Can 2 Way Jubilees Use False Corners? I have searched the forum and found many articles on the KHorn and false corners but I am still not sure they can be used with Jubilees. Can the Jubilees use false corners? Would the size of the corner need to be different than that described in "Dope for Hope"? Is anyone using false corners with Jubilees and how is that working? My room is not perfect as my best wall has fieldstone on it with a ledge that sticks out about 15 inches which keeps the bass bins away from the walls. Thoughts? 1) Yes-but most people call them "wings"
4) Anything that can help transition the bass bin mouth to the adjacent walls will increase low end extension. Simply providing a bridging baffle from the Jub bass bin mouth to the walls will certainly help. Thank you for the reply. I hope you don't mind an additional question. In the drawing at the top I see the wings in blue - are the thick black lines the room corner of a false corner? Okay your answer on tapped horn sub-woofers are very interesting. I have already started researching as this solution looks like more fun. Love giant horn speakers and I learned something new today, The Klangfilm Bionor, and once again on Youtube, one can find hidden treasures. Thanks for the pics Chris. I even dig the Russian song. 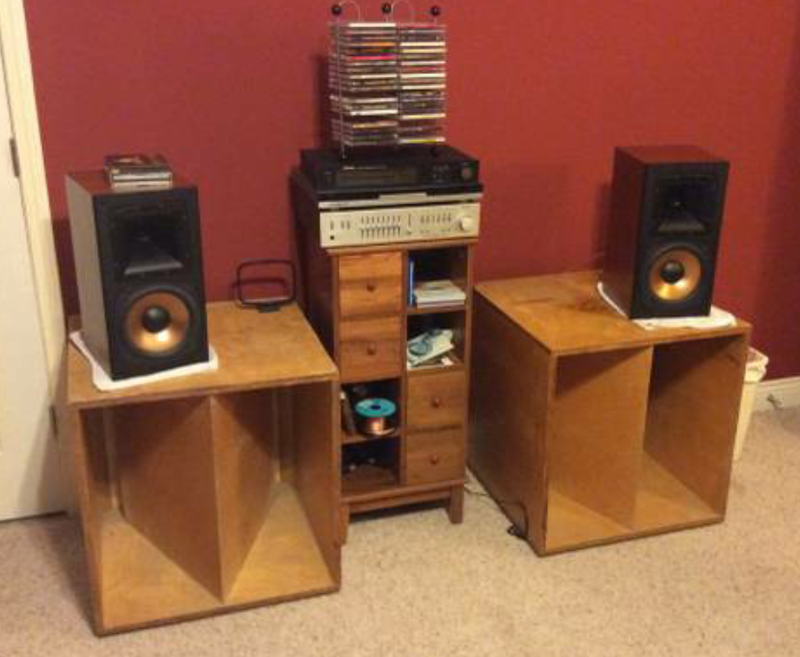 They sound great on my Senns, by the way. In the drawing at the top I see the wings in blue - are the thick black lines the room corner of a false corner? The thick black lines are the room boundaries, and the blue lines are the wings. 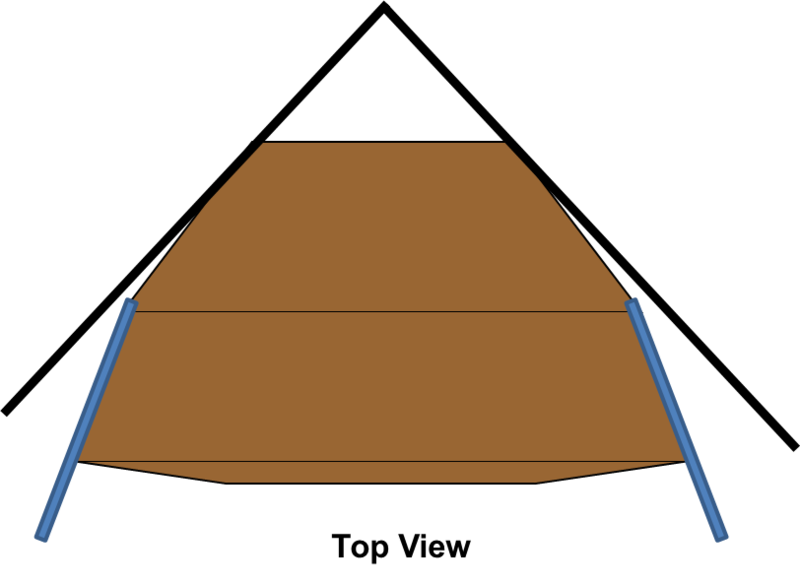 The implication of the diagram is that wings will extend from the room corners farther than Khorn false corners. This is a function of the shallower "splay" angle of the Jubilee bass bin mouths than the Khorn bass bin mouths. If you need more information on the DIY TH-SPUD design, I've got it.